Aphorisms aren't exactly known for their scientific accuracy, but this one could be true: new research on marriage quality suggests that the saying "happy wife, happy life" has a sound basis in fact. 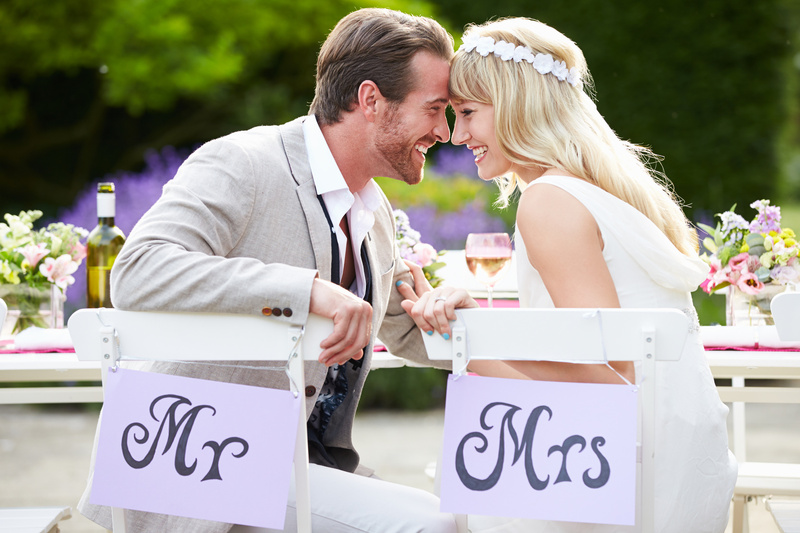 Researchers from Rutgers University have recently reported in the Journal of Marriage and Family that "the association between husband's marital quality and life satisfaction is buoyed when his wife also reports a happy marriage, yet flattened when his wife reports low marital quality," but no reciprocal relationship was found. In other words, husbands appear to be more sensitive to their wives than wives are to their husbands. How's that for a gender role reversal? The researchers analyzed "data on 394 couples in which at least one of the spouses was 60 years old or more," with an average marriage duration of 39 (!) years, including questions to each spouse about the marriage specifically and time diaries with periodic individual self-reports of happiness level. The researchers hypothesize that this discrepancy in how husbands' and wives' individual happiness affects marriage quality may be due to women's openness in expressing relationship dissatisfaction (which affects their husbands), whereas men may be more likely to keep relationship dissatisfaction to themselves (protecting their wives from its immediate impact). Also note that women's — but not men's — premarital jitters predict divorce in the future. I hate to put it this way, because it sounds stereotypical, but maybe men really just are much more "go with the flow" when it comes to relationships. As long as they pick an adequate partner for starters, and she's happy with the way things are going, men tend to be cool with it too. Oh, what a love life that must be. Full disclosure, though — another recent study from the University of Chicago found the exact opposite: in this case, happy and positive husbands were strongly correlated with marital quality, but the positivity of the wife seemed to play no role in determining the overall state of the union at all. So basically if your marriage is bad, whether you're a man or a woman, you can commit the critical thinking sin of confirmation bias and find evidence suggesting that it's all your spouse's fault. Enjoy that fight! In any case, although the details of spouses' interrelationships are interesting and important, it's hardly surprising to learn that the welfare of husbands and wives are indeed closely tied in unique and significant ways. Romantic stories of "fixer uppers" besides, the best way to end up in a happy marriage is probably to marry someone who's happy in the first place: especially look for strong self-esteem and conscientiousness in a marriage partner.